It is my favorite time of the year and all I can see, hear and smell is Christmas these days. 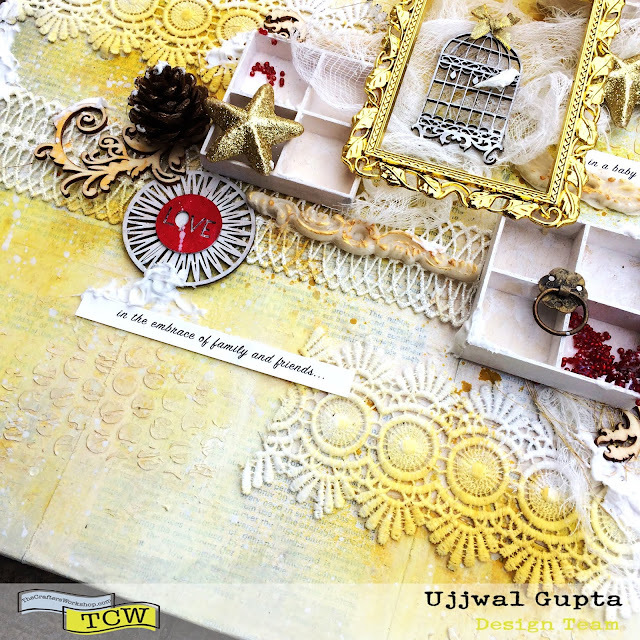 I decided to make a layered Canvas and used the TCW stencils and lots of different TCW mediums too. I also documented the entire process on the TCW blog so you can create your own. Thank you so much for stopping by and I will see you again soon!